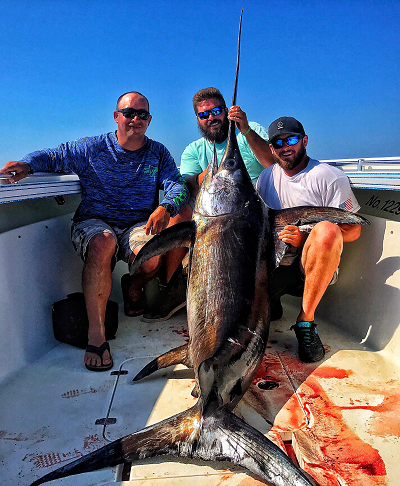 Captain Eddie Burger has been professionally fishing offshore since 2003 and within the last 15 years has established himself at the top rank of offshore captains working out of Venice, Louisiana. With a consistent record of putting his clients on fish, even when the Gulf of Mexico throws her curveballs and pushes most folks to stay at the docks he figures out a way to find the fish. His peers and competitors alike consider Eddie to not only be a hell of a fisherman, but an honest and hard working business owner. The time that we have been able to spend talking in between his daily grind, I have come to know Eddie as a humble person who lets his board shots speak for themselves. He is known as one of the hardest working captains in Venice, Captain Eddie’s daily goal is to take the best care of his anglers to ensure a memorable, safe, and exciting charter. 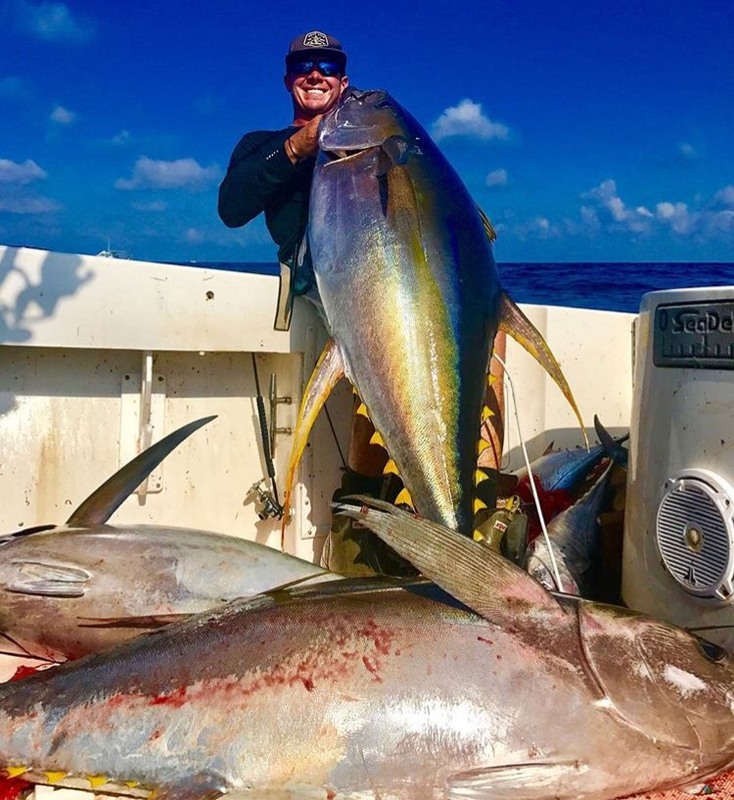 Captain Eddie has guided anglers to successfully catch thousands of trophy-class fish, too many stories and pictures to share in a single article. Striker Offshore Tackle looks forward to working side by side with Eddie to absorb every bit of advice he gives and apply that knowledge to our custom line of tackle. Whether you are after tuna at the lumps in the winter, wahoo at the beginning of the year, shelf rig fishing in spring for tuna, mahi mahi on the rip lines in late summer, swordfishing in the deep, red snapper/mangrow/grouper/etc.. fishing at the rigs, chasing tuna at the floaters, and more Captain Eddie will work tirelessly to put fish on ice to make your trip one for the books. To book a trip with Fish Venice Charters visit Captain Eddie @ www.fishvenicecharters.com or call 985-302-6046. Captain Hunter Caballero has over 10 years of experience fishing out of Venice, La and is well accomplished in the professional angling world. Capt. 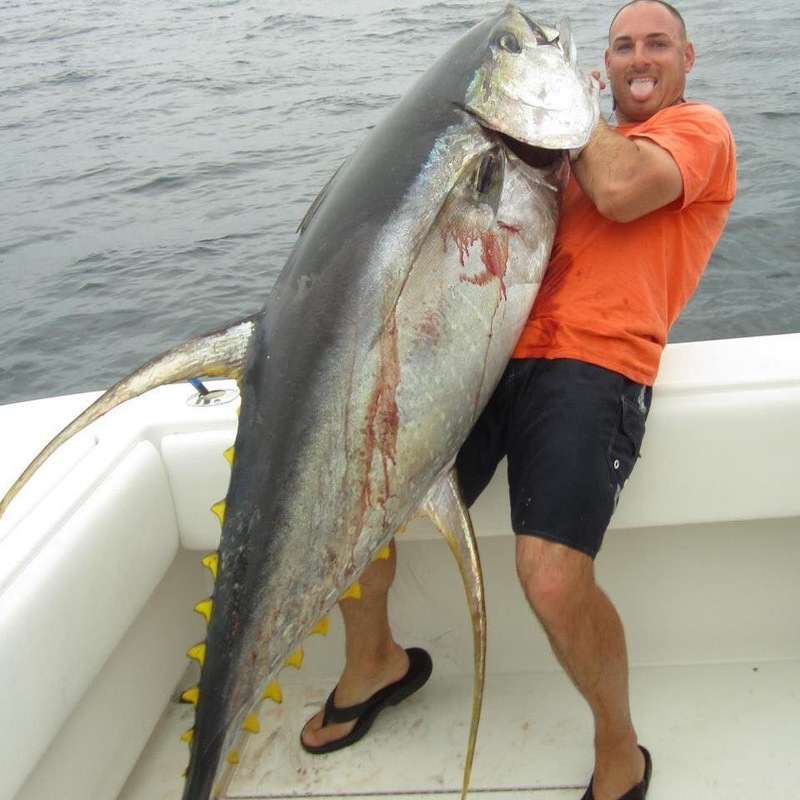 Hunter holds the state record for Big Eye Tuna and is known for his patient demeanor and defined by his unparalleled capability to hone in on giant yellowfin tuna – Hunter is the founder of Paradise Outfitters and operates his charter out of a passion for sportfishing and desire to share legendary fishing expeditions with his clients. No matter if catching requires trolling, deep dropping, jigging, free lining, kite fishing or rig fishing he is well seasoned in blue water fishing techniques. To book a trip with Paradise Outfitters visit Captain Hunter @ www.venicefishing.com or call 504-610-1686. Captain Josh Howard has over 14 years fishing offshore out of Venice, La. As the owner of Deep South Charters, Capt. Josh and his crew have managed to continuously set clients in the position to break state records. 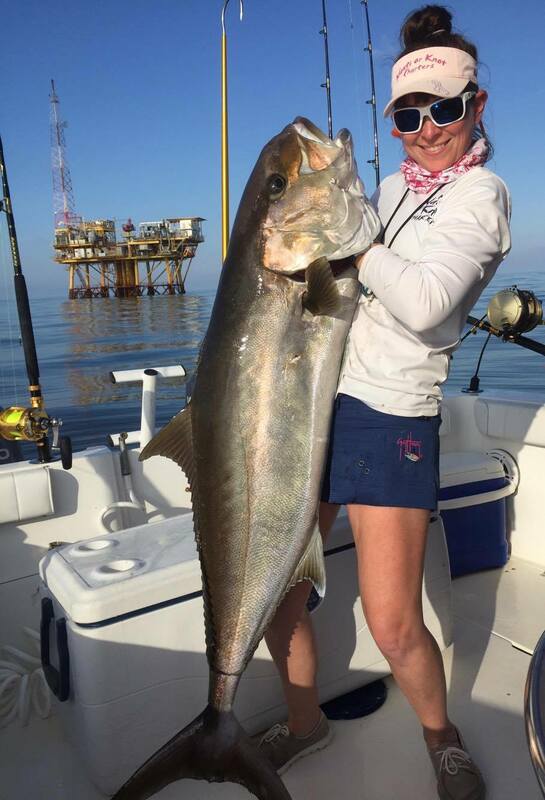 Notable catches include a Greater Amberjack that weighed 127.8 pounds, (Louisiana's #2 state record amberjack) and also the state record Bearded Brotula (18 lbs.). 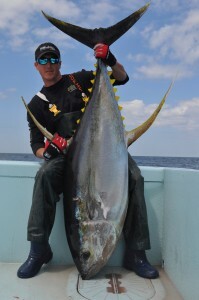 His biggest Yellowfin topped out near 196 lbs. and he's also landed a 58lb. bull dolphin. Well seasoned in a wide variety of blue water tactics Capt. 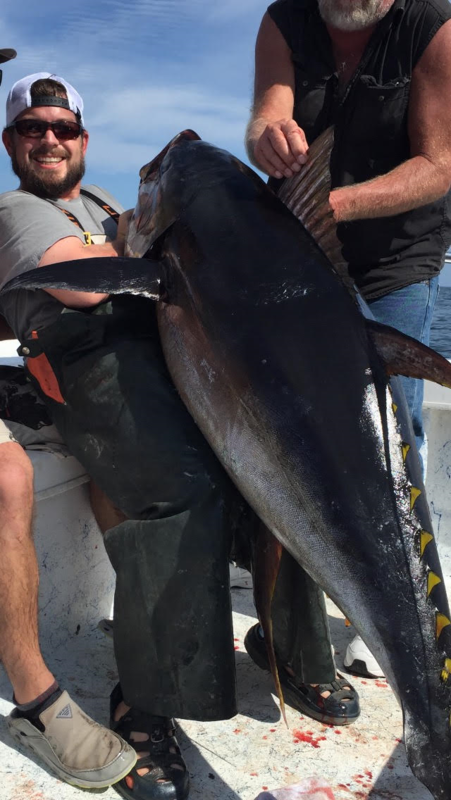 Josh is truly among the top offshore fishing guides in Venice, La. To book a trip with Deep South Charters visit Captain Josh @ www.deepsouthcharters.com or call 225-572-7408. Captain Andre Boudreau has been fishing and hunting in South Louisiana his entire life. Having taken time to attend and graduate from University of Lafayette in 2008, he returned back home to follow his true passion "Offshore Fishing". Capt. Andre has fished all over both South and Central America waters learning outside skills and combining that knowledge with his own techniques making him a well versified angler. Capt. Andre often travels to fish offshore tournaments recently winning in both Billfish and Tuna classifications. If not offshore fishing, he can be found inshore fishing, deer hunting and duck hunting. He truly is a Southern Sportsman with a passion that shows every time we have the chance to discuss anything outdoors. To book a trip today visit Captain Andre Boudreau @ www.laoffshoreadventures.com or call 985-630-9827. Captain Gray Long has over 25 years fishing offshore out of Venice, LA. 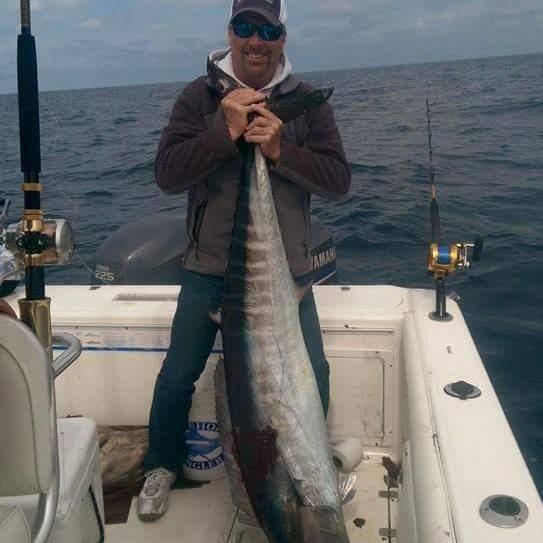 As owner of Go Long Charters, he works tirelessly and professionally to put his clients on the fish and ensure they have a memorable day on the water. 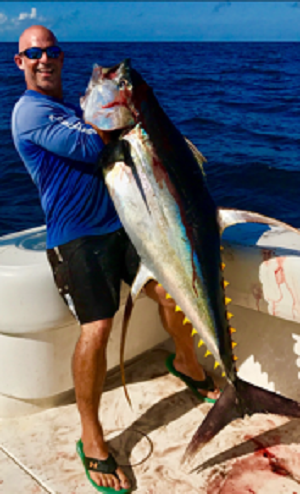 Although yellowfin tuna is the number one target, (Gray's biggest to date 212lbs) he enjoys catching both Blue/White Marlin, Sailfish, Mahi Mahi, Wahoo, Grouper, Red Snapper, etc.. After all the years that have passed, he still has the same passion and love for offshore fishing. Capt. Gray thoroughly enjoys sharing his experience fishing with his customers. The old saying that goes, “find something you like to do and you will never work a day in your life” certainly applies to being an offshore fishing captain. Though the days are long and the nights are short, fishing out in the Gulf of Mexico is truly a labor of love for this captain. To book a trip today visit Captain Gray Long @ www.golongcharters.com or call 225-252-5315. Captian Joey Davis and Captain Neil Gryder are childhood friends who have been fishing together for over a decade. After college they both went their separate ways. Captain Joey got his start in Venice, La with Pelagic Charters, eventually running a boat for Voodoo Fishing Charters. Captain Neil took his fishing talents to the Florida Keys which jumpstarted his career in the sport-fishing industry working with the crew on the Black Tip. Both of them were lucky enough to fish with some of the best captains in their surrounding areas. Now they have teamed back up as Relentless Fishing Charters and combine their wide range of fishing techniques to consistently put clients on fish. Whether your after pelagics; Tuna, Wahoo, Mahi Mahi, Marlin etc.. rig fishing for Red Snapper, Amberjack, Grouper or deep dropping for Swordfish, they are relentless and efficient at putting clients in the position to catch fish. 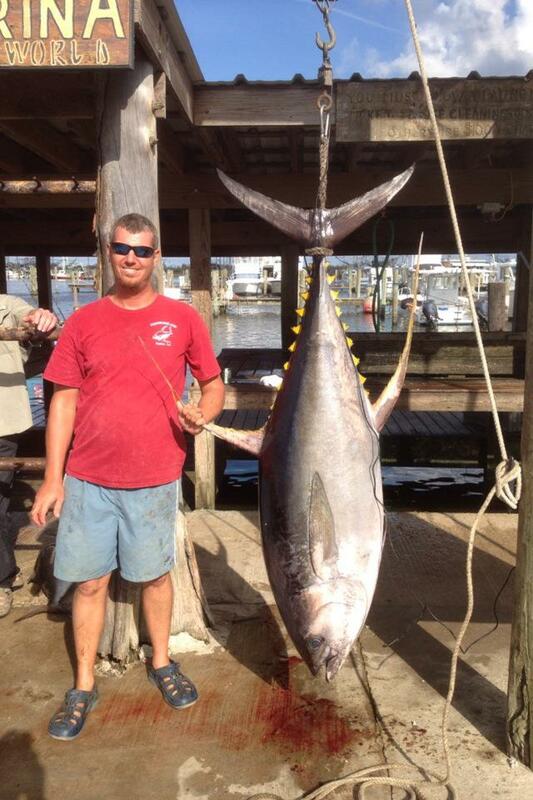 Captain Joey's boat recently shattered the Louisiana Blackfin Tuna record when he boated a 41lb tuna on a Striker Jig. To book a trip today visit Captain Joey and Captain Neil @ http://www.relentlesssportfishing.net/ or call 504-715-6597. Captain Blake Rigby went on his first offshore trip when he was seven and has been hooked ever since. Raised in Southeast Texas, Captain Blake was fishing off of the ever popular party boats in and around Galveston, Tx hauling in 20 lb snapper at the age of 10 and spending the remainder of his time prowling the backwaters in search of redfish, flounder and speckled trout. 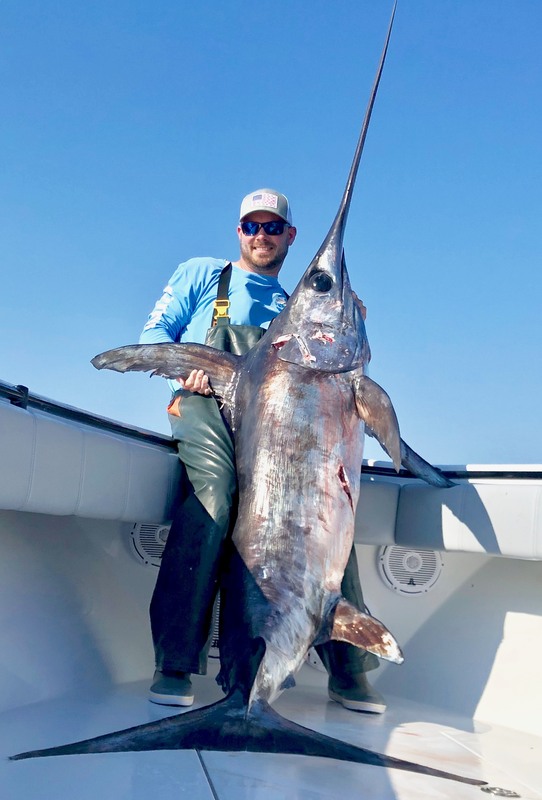 As most often happens, his passion called him to the blue waters and the excitement of landing the big fish our Gulf of Mexico regularly provides. He's a USCG licensed captain and now successfully commands the Triple Tail Fleet and fishes exclusively out of Venice, Louisiana. For the past five years he has quickly been steaking out his claim among the top captains that call Venice, LA home port. When he's not on the boat fishing, Capt. Blake can be found overboard spearfishing. A memorable moment came back in June 2017 when Captain Blake shot the new world record Tripletail weighing in at 27.6 lbs. The Gulf of Mexico offers a unique place for spear fishing and Blake takes every chance he gets to dive down around production platforms and drilling rigs to hunt. 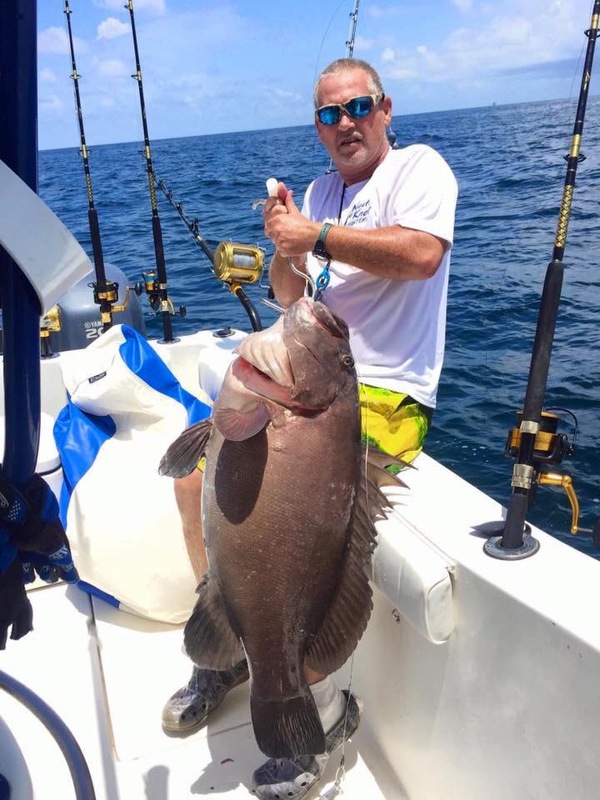 Whether you want to chase Tuna, Mahi, Wahoo, drop for Snapper, Grouper, Tilefish...…… Captain Blake has the knowledge and drive to make sure every trip a memorable and unforgettable time on the water. Captain Josh Bodenheimer began working as a offshore fishing deck hand at the age of 19 and has not looked back since. Born and raised in Metairie, LA his passion for the outdoors began at an early age and that same passion that started all those years ago still drives him today. In 2010, Intensity Offshore Outfitters was conceived and Capt. Josh once again has not looked back. With well over 12 years of experience earned by countless hours spent on the water hunting the Gulf of Mexico's abundant offshore species, Capt. Josh has become as versatile as any professional charter captain deploying multiple techniques to put his clients on the catch that they won't forget. He loves the excitement and experience of meeting new people each day and providing them with experiences and memories that will last a lifetime. He enjoys the challenges each day of offshore fishing in which you never know exactly what you’re being dealt. Capt. Josh meets that challenge head on and his never say die attitude sometimes keeps him moving and searching all day to find what’s needed to make that day a great one. To book a trip visit Captain Josh @ www.intensityoffshorecharters.com or call 504-235-5319. Captain Dennis and Amanda Menard - Nauti or Knot Charters is a family owned and operated business based out of Grand Isle, La. Capt. Dennis has been fishing offshore since he was 3 years old with 46 years of experience fishing saltwater and Capt. Amanda has been fishing offshore for 10 years. In the last 6 years their boat has caught 10 top ten state records. Speacilizing in deep dropping trips, reef fishing and targeting pelagic species that are abundant in the Gulf of Mexico. Both captains have been on the water their entire lives and truly show a passion for what they do. They have a saying "you may come to them as strangers but you will leave as family". So give Nauti or Knot Charters a call and let them take you on a "Reel" adventure! To book a trip visit Captain Dennis & Amanda @ www.nautiorknotcharters.com or call 337-296-1659. Captain Jerry McClure is a professional bass fisherman on both the Bass Anglers Sportsman Society and the Fishing League Worldwide circuits. Capt. Jerry was ranked #1 in the state of Georgia for several years. With over thirty years combined on these circuits and over forty years of fishing experience, he brings a wealth of knowledge to the offshore fishing scene. Capt. Jerry's home base is now located on the coast in Biloxi, Ms. and he opened Biloxi Blue Water Charters to continue his passion. Combining all his years of fishing, he is dedicated to continuously putting clients in a position to catch Tuna, Wahoo, Mahi-Mahi, Red Snapper and all other pelagics found in the Gulf of Mexico. To book a trip with Biloxi Blue Water visit Captain Jerry @ http://biloxibluewater.com/ or call 228-243-5365. Striker Offshore Tackle is honored to have these captains on our team. We utilize there expertise in the design and development of our current custom tackle and the new lures coming soon! !